TorGuard provides easy to use VPN services to keep you safe from online security threats including hackers and identity theft while letting you circumvent net censorship. Get 50% off TorGuard’s VPN plus a free Mini VPN Router when you buy a two year plan using code 1984, with plans starting at just $5 per month. TorGuard’s claim to fame is that they offer specific types of servers for different activities. That gives you the ability to connect to torrent-friendly services if you need to download something, encryption and anonymity-friendly servers if you just need a little privacy and security, and so on. TorGuard’s network is set up so no information is collected on their user activities, so they don’t know when you’re connected or what you’re doing. 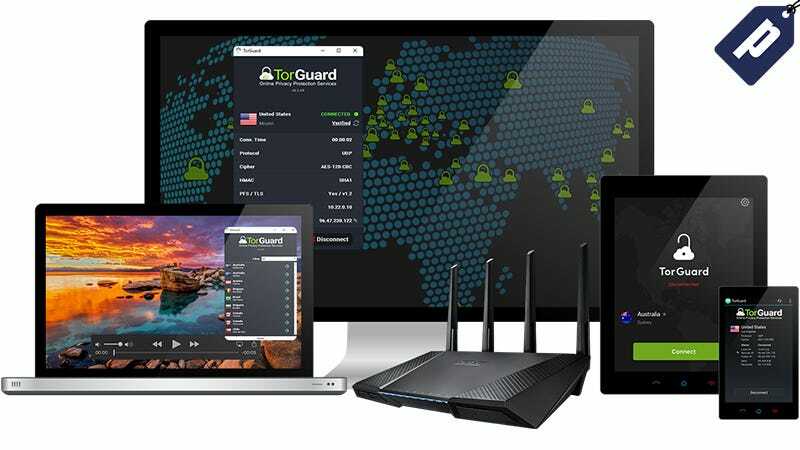 Get 50% off TorGuard’s VPN services plus receive a free mini VPN router when you buy a two year plan with code 1984, starting at just $5 per month. You can check out Lifehacker’s High Five Top VPNs post here.